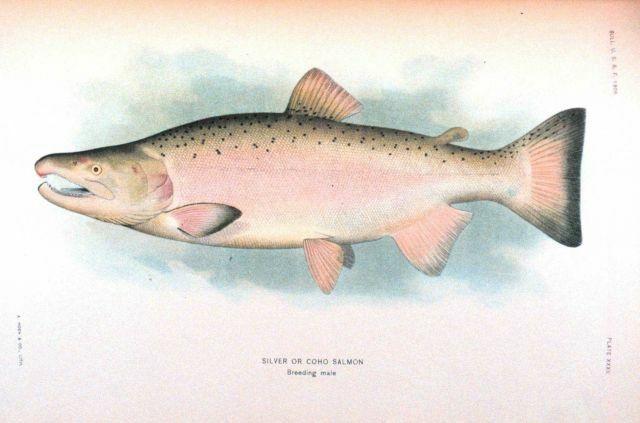 Silver or Coho salmon, breeding male. In: “The Fishes of Alaska.” Bulletin of the Bureau of Fisheries, Vol. XXVI, 1906. P. 360, Plate XXXII.